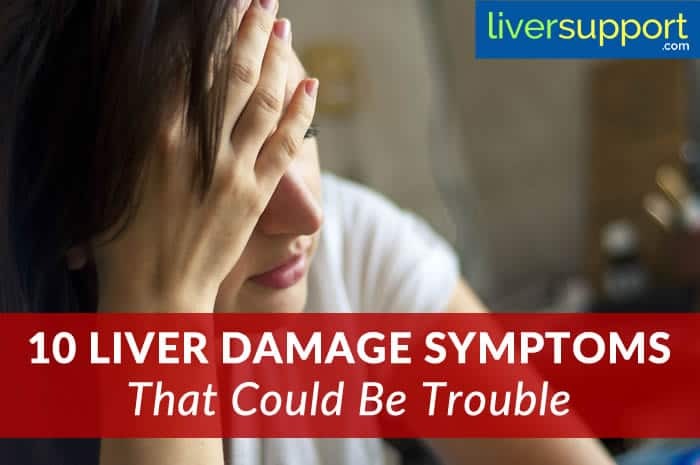 Are you experiencing any of these warning signs of liver damage? The liver is a vital organ that is necessary for several functions critical to our health and well-being. When the liver is damaged and liver function is compromised, overall health begins to suffer. 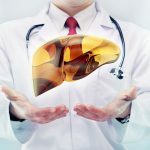 While signs and symptoms of liver damage are not always obvious at first, as the disease progresses and the liver function continues to decline symptoms often become severe very quickly. In Traditional Chinese Medicine (TCM), the Liver is the emotions of anger, resentment, unfulfilled desires, and frustration. When the Liver energy, or qi, is flowing smoothly, the individual is happy and healthy, but when the Liver is out of balance, the qi becomes stagnant. Even TCM recognizes the impact liver health had on functions like digestion, immunity and overall well-being! 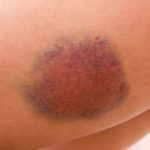 Bruising & Bleeding – The liver produces protein factors necessary for clotting, so when liver function begins to fail, increased bruising and bleeding may be noticed. Digestive Problems – The liver plays a critical role in breaking down fats (lipids) and carbohydrates (sugars). When the liver is not functioning properly, digestive complaints begin to surface, including nausea, diarrhea, constipation, and reflux. Irritable Bowel Syndrome (IBS) may also be a sign of liver function decline. “Spare Tire” – When the liver is overcome with sugar that the body cannot burn, the liver converts this energy into glycogen, and stores it as fat. This fat tends to accumulate in the upper abdominal area, giving the appearance of the “spare tire” or “liver roll,” which is a roll of fat around the upper abdomen. Swelling & Pain – Swelling, bloating, pain or itching in the right, upper quadrant of the abdomen may be a sign of damage in the liver. Unexplained lumps in this area may indicate a tumor or cancer. Gallbladder Problems – Gallstones and gallbladder disease may be a symptom of a larger problem, as liver disease is the inability to tolerate fatty foods. Jaundice – Bilirubin, which creates the yellowing of eyes and skin, is produced when the liver breaks down old red blood cells and cannot properly divert bilirubin into the intestines for removal. When this happens, the stool becomes pale and the urine becomes dark as the kidneys attempt to remove the excess bilirubin from the body. Fatigue & Depression – The liver is critical in many functions in the body that impact our energy levels and endocrine systems (hormonal). It is not fully understood why, but liver disease has a very high correlation with fatigue and depression and can be associated with a mental “fog” that is commonly associated with fibromyalgia. Autoimmune Diseases – There are several autoimmune diseases and conditions that are associated with compromised liver function, including fibromyalgia, chronic fatigue syndrome, irritable bowel syndrome, skin rashes, allergies, food sensitivities and others. Red Face & Sweating – In Chinese medicine, the liver is associated with anger and “heat,” or fever, redness and an excess of heat. Those with liver damage often appear red-faced with excessive sweating, overheating, and may even have a fever. Type-2 Diabetes – Because the liver is responsible for managing excess sugar that our body cannot use, it is closely associated with diabetes. The liver stores excess sugar (glucose) as fat, but sometimes, when we chronically eat too much sugar, the liver becomes clogged with fat creating a fatty liver (non-alcoholic fatty liver disease or NAFLD). If you are experiencing symptoms of liver damage, it is important that you discuss your concerns with a qualified physician. 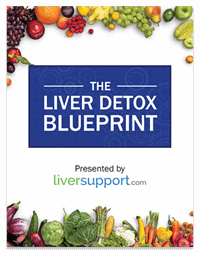 The liver is a vital organ and its functions critically impact our overall health. American Cancer Fund. (2016). 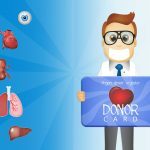 What is liver cancer? American Cancer Fund. Retrieved on 9/15/16 from https://www.americancancerfund.org/cancer-types/liver-cancer/?gclid=Cj0KEQjwjem-BRC_isGJlJ-0h-MBEiQAbCimWDxon1Pt8QLR_0wmGlXWkYLLtWGEXVyECKEVjSO7uaoaAm4l8P8HAQ. Medline Plus. (2016). Liver cancer - hepatocellular carcinoma. Medline Plus. Retrieved on 9/15/16 from https://medlineplus.gov/ency/article/000280.htm. NCI. (2016). 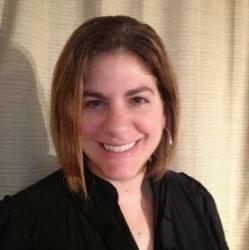 Adult Primary Liver Cancer Treatment (PDQ®)–Patient Version. National Cancer Institute. Retrieved on 9/15/16 from https://www.cancer.gov/types/liver/patient/adult-liver-treatment-pdq. NIH. (2016). Cirrhosis. National Institute for Diabetes and Digestive and Kidney Disease. Retrieved on 9/19/16 from https://www.niddk.nih.gov/health-information/health-topics/liver-disease/cirrhosis/Pages/facts.aspx. Sacred Lotus. (2016). Liver and gallbladder pattern differentiation in Chinese medicine. Sacred Lotus. Retrieved on 9/26/16 from https://www.sacredlotus.com/go/diagnosis-chinese-medicine/get/zang-fu-liver-gallbladder-patterns-tcm.